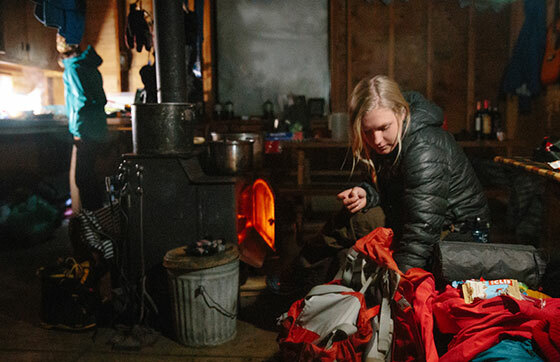 A trek, a ride, fresh turns or a new ascent — our stoke is not fueled by the main event alone. 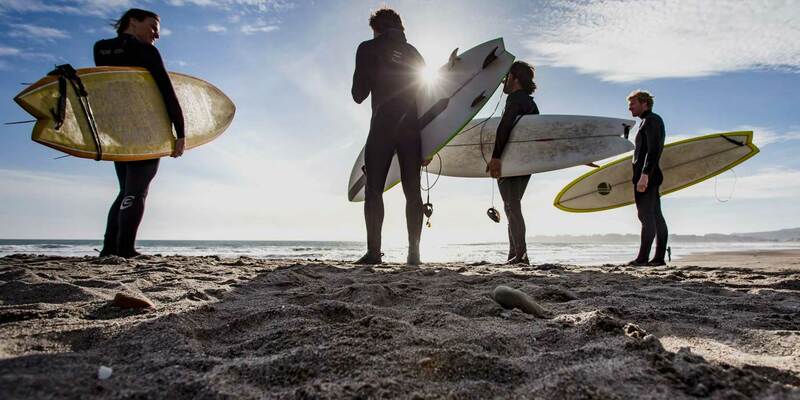 Sure the hard work you put in to your adventure will always pay off in story cred and memories made, but the time you actually spend planning an adventure or slowing down, connecting and hanging during your adventure can actually be the most rewarding. My recent trip to the Bradley Hut gave me a new appreciation for the times we don’t often consider part of the adventure but prove to be some of the most memorable. 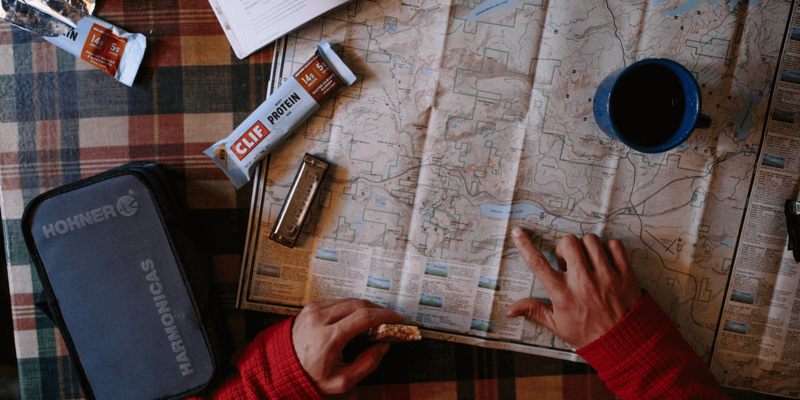 There is something gratifying about spending quality time with that map that has been buried in your gear closet and daydreaming about the adventure that is about to unfold. Or spending hours laying out all of the gear next to your pack on your bed only to realize you have to make a store run for one more thing for the third time. You plot, plan, organize, reorganize and are, in fact, already experiencing one of the best parts of the adventure. 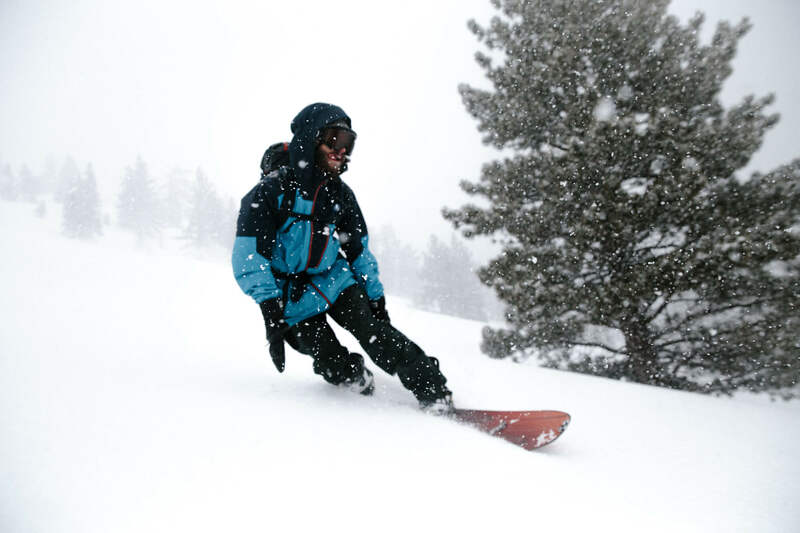 There's nothing wrong with resort snow fun, but the allure of having to work for the ride adds to the adventure. 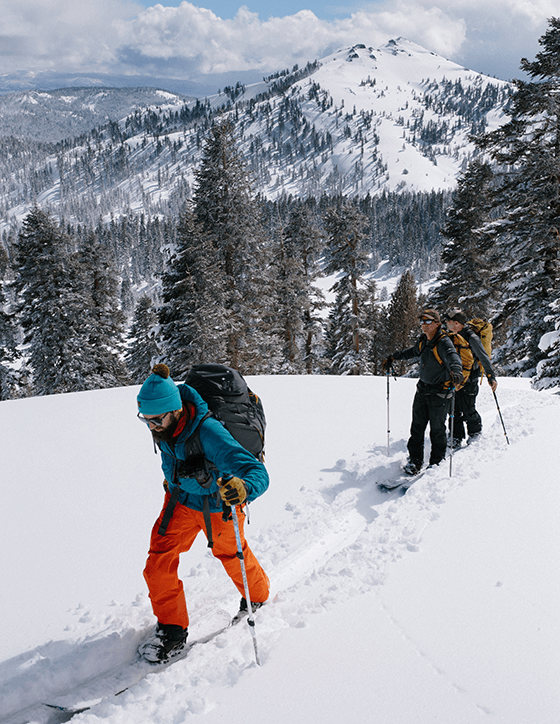 Nestled 4.7 miles from the Pole Creek trailhead and near the Squaw Valley area in the Sierras, to find your way to the The Bradley Hut you’ll need to head up 1600’ feet and add some skins to your splitboard or skis to make the most of your trek. 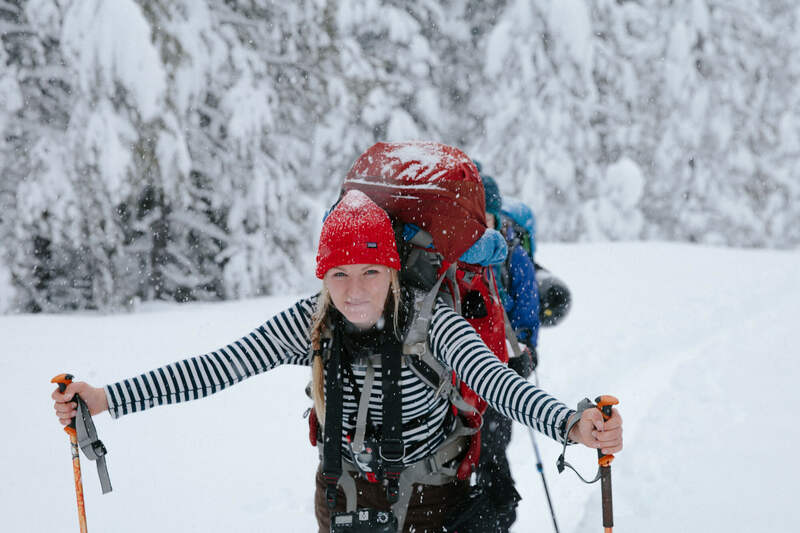 Add a 40-pound pack to carry your sleeping bag, shovel, probe and food and you are definitely going to be earning your turns. 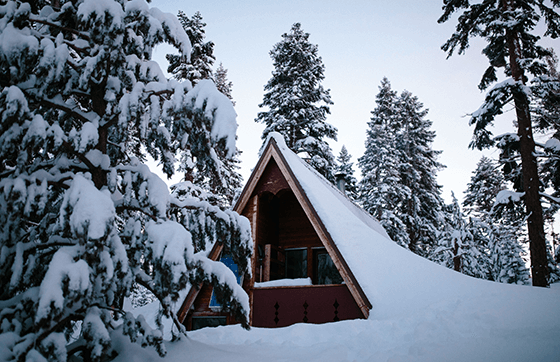 During our trip, the snow was light but deep and it was absolutely beautiful as we eased in to the solitude of this winter paradise. The sun went down and we made our last few glides up in the dark. We were greeted by the warm glow of the wood burning stove that would protect us from the chill over the next three days. Once inside, we peeled away the wet layers and enjoyed some skillet tacos, eagerly anticipating the runs that would greet us tomorrow. The hut, which served as our home base, was simple and allowed us to quickly settle in to our routine. 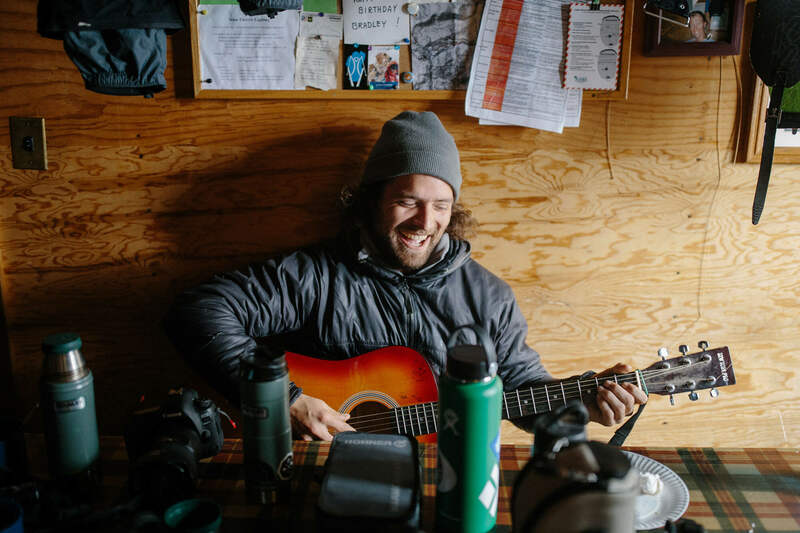 A guitar hung from the wall and was quickly snagged by a fellow adventure partner who jammed while others helped to dig stairs in and out of the buried hut entrance or melt snow over the stove for drinking water. Someone picked up a harmonica, and a jam began which prompted hours of great conversation and stories of travel from all over the world. I called it a night early and was happy to fall asleep to the sounds of my friends singing in the dark. The tunes continued throughout our days and became part of what I remember most. We came in and out of the hut throughout the day, as we explored several surrounding areas for some downhill turns, and it was hard not to want to stay for just one more song. We were sad to see the last day come so soon. As the sun came up, we were out the door to get some last runs in before heading back to where it all started and to say our goodbyes. We hung the guitar back up and headed out. The adventure may have come to a close, but I know we all took a bit of new perspective home with us. And as we all drove home, I have no doubt that we were all plotting our next winter adventure with a new soundtrack in our heads.